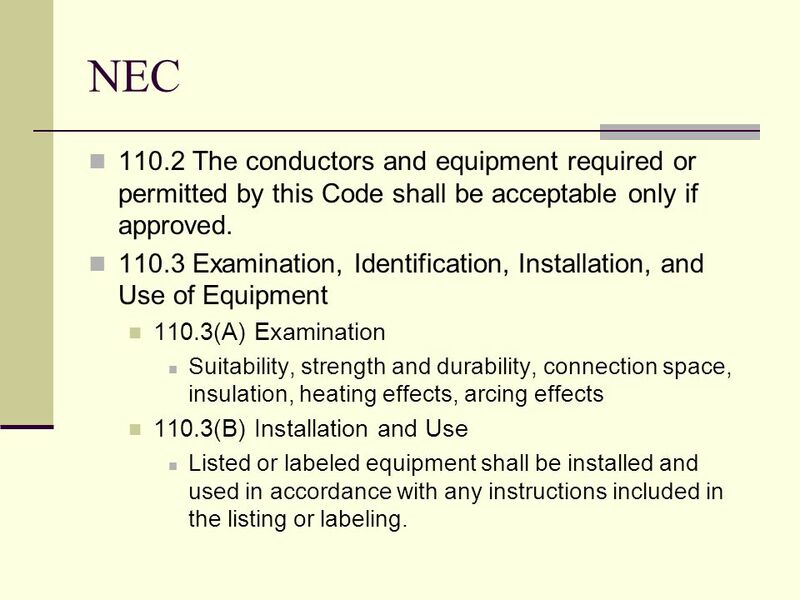 3 NEC 110.2 The conductors and equipment required or permitted by this Code shall be acceptable only if approved. 110.3 Examination, Identification, Installation, and Use of Equipment 110.3(A) Examination Suitability, strength and durability, connection space, insulation, heating effects, arcing effects 110.3(B) Installation and Use Listed or labeled equipment shall be installed and used in accordance with any instructions included in the listing or labeling. 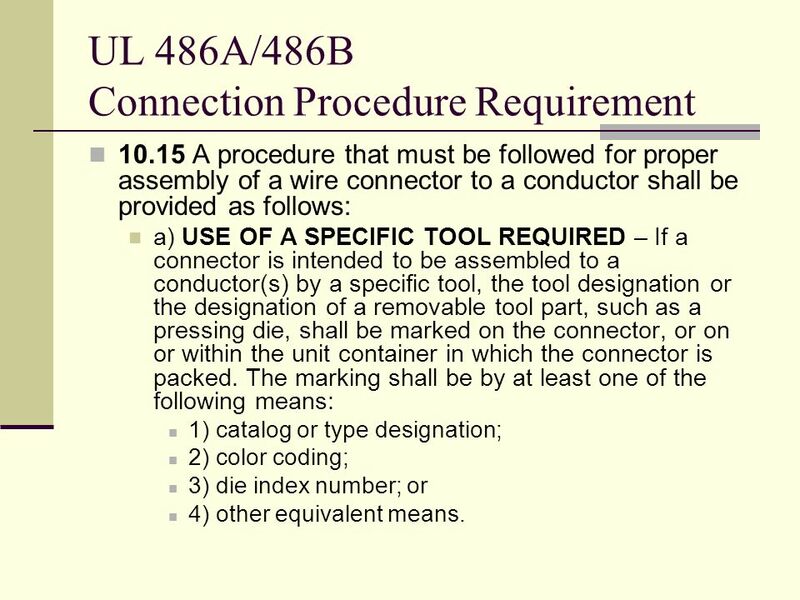 10.15 A procedure that must be followed for proper assembly of a wire connector to a conductor shall be provided as follows: a) USE OF A SPECIFIC TOOL REQUIRED – If a connector is intended to be assembled to a conductor(s) by a specific tool, the tool designation or the designation of a removable tool part, such as a pressing die, shall be marked on the connector, or on or within the unit container in which the connector is packed. The marking shall be by at least one of the following means: 1) catalog or type designation; 2) color coding; 3) die index number; or 4) other equivalent means. 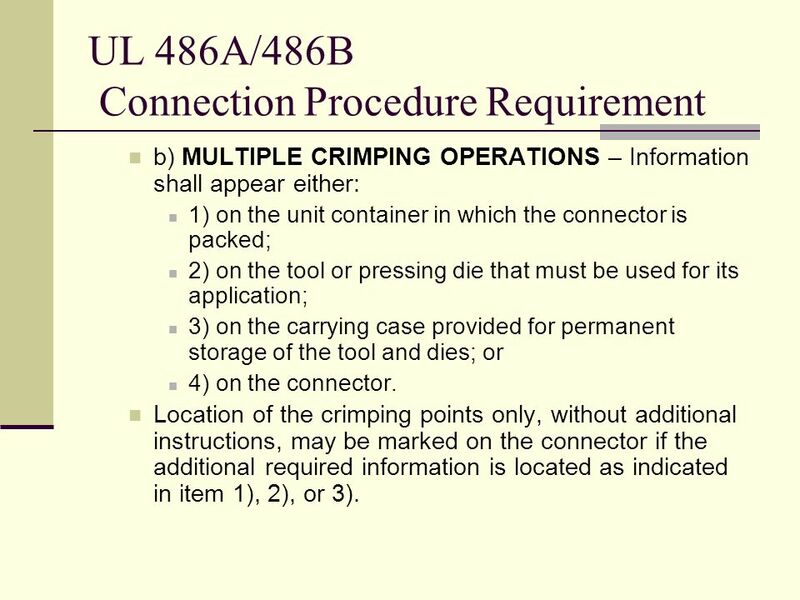 b) MULTIPLE CRIMPING OPERATIONS – Information shall appear either: 1) on the unit container in which the connector is packed; 2) on the tool or pressing die that must be used for its application; 3) on the carrying case provided for permanent storage of the tool and dies; or 4) on the connector. Location of the crimping points only, without additional instructions, may be marked on the connector if the additional required information is located as indicated in item 1), 2), or 3). 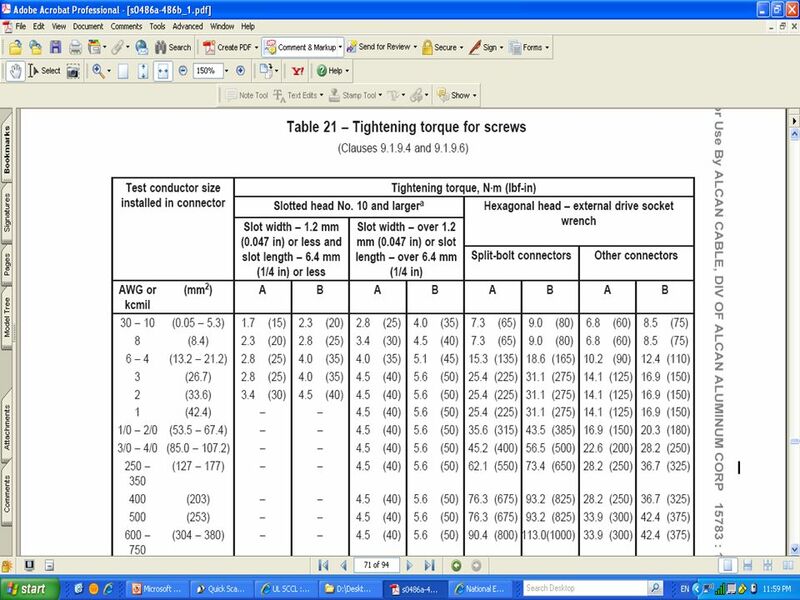 c) CONDUCTOR STRIP LENGTH – Strip length marking as specified in Table 18 shall appear: 1) on the connector; 2) on the unit container or on an information sheet contained therein; 3) on an insulating cover; or 4) on the tool or on the carrying case provided for its permanent storage if: i) the connector requires the use of a specific tool for its application; and ii) the strip length applies to all insulated connectors with which the tool is used. 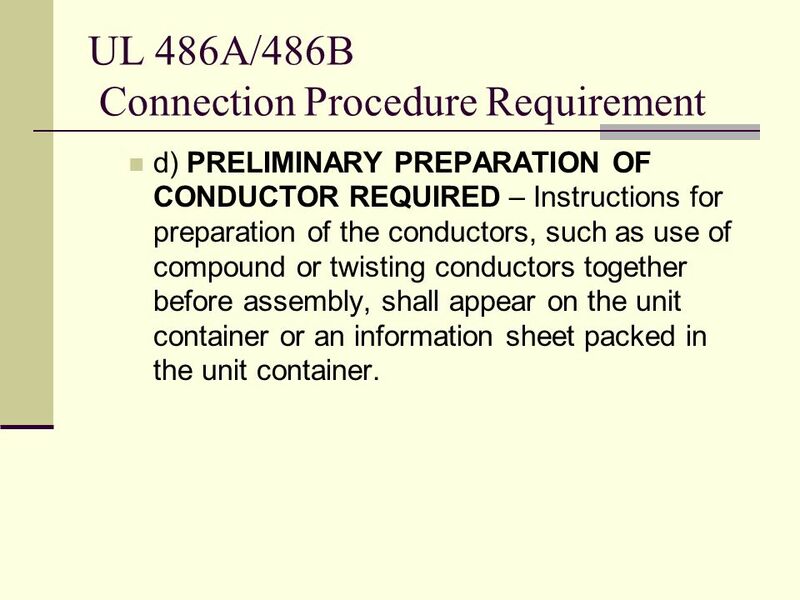 d) PRELIMINARY PREPARATION OF CONDUCTOR REQUIRED – Instructions for preparation of the conductors, such as use of compound or twisting conductors together before assembly, shall appear on the unit container or an information sheet packed in the unit container. 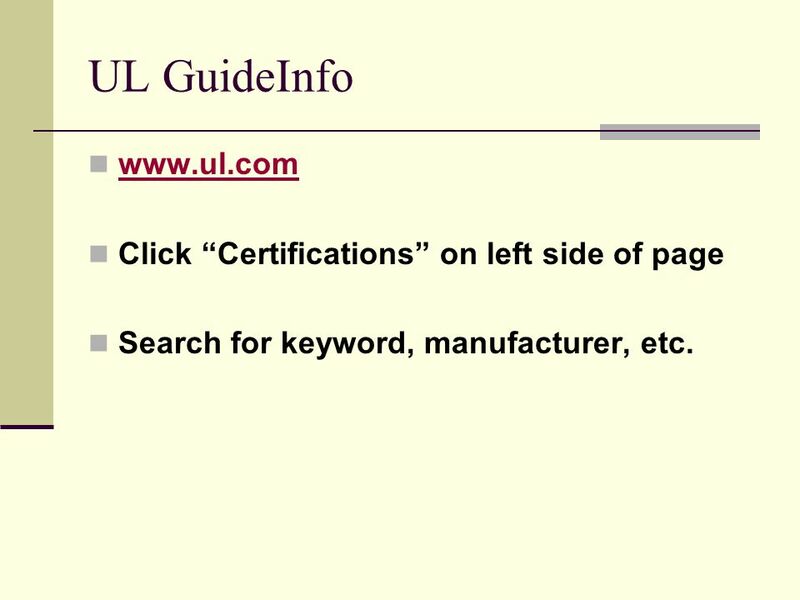 Search for keyword, manufacturer, etc. 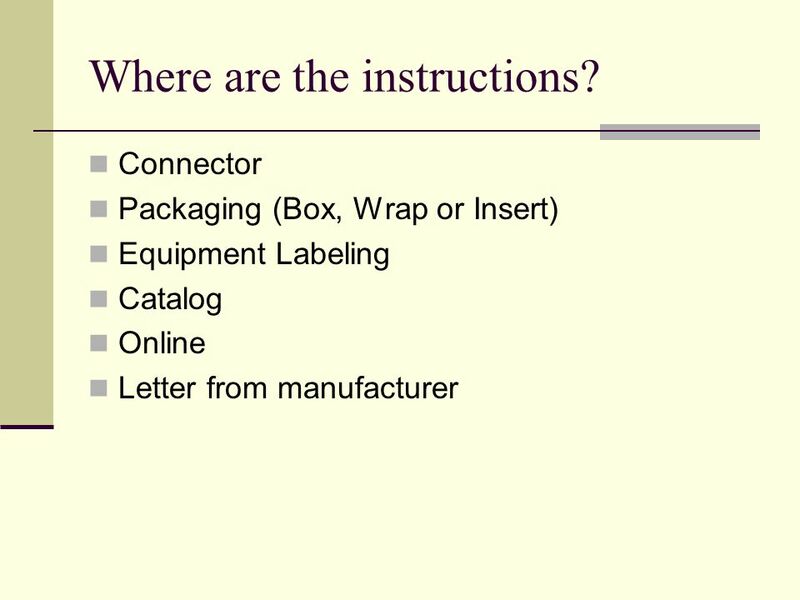 INSTALLATION INSTRUCTIONS Use of specific tools — A specific tool and die used to assemble a wire connector to a conductor is identified on the connector, or on or within the unit container of the connector. 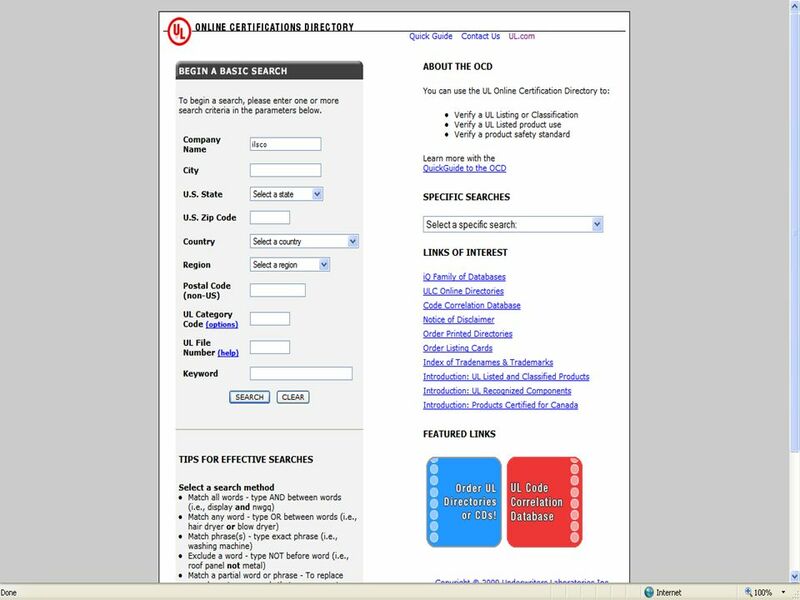 The identification consists of a catalog or type designation, color coding, die index number, or equivalent means. Color coding of the crimp barrel is common. Multiple crimping operations — The number of crimps necessary to make a connection using the specific tool is identified on the connector, or on or within the unit container of the connector. Location and number of crimping points is commonly located on the crimp barrel of the connector. 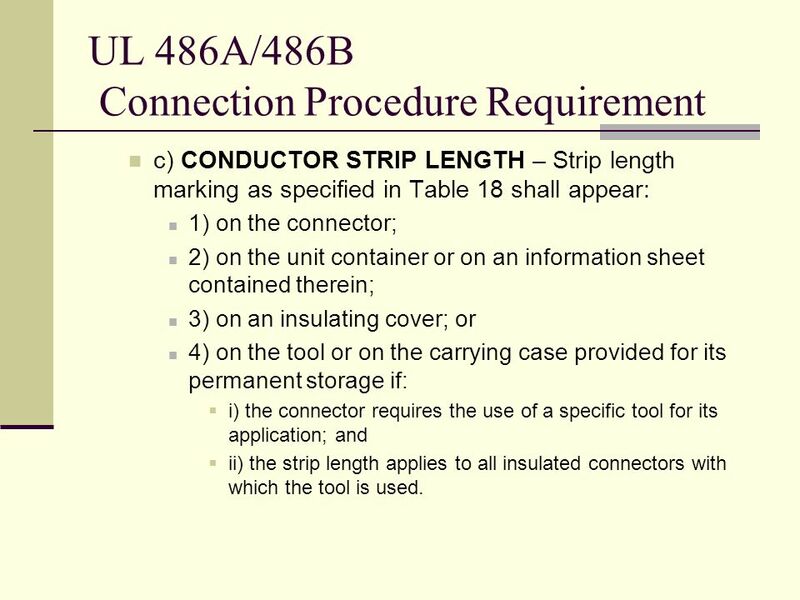 Conductor strip length — Wire connectors requiring a specific strip length have this information identified on the connector, on or within the unit container of the connector, on an insulating cover, or on the tool or tool carrying case. Strip length marking is optional for some constructions. 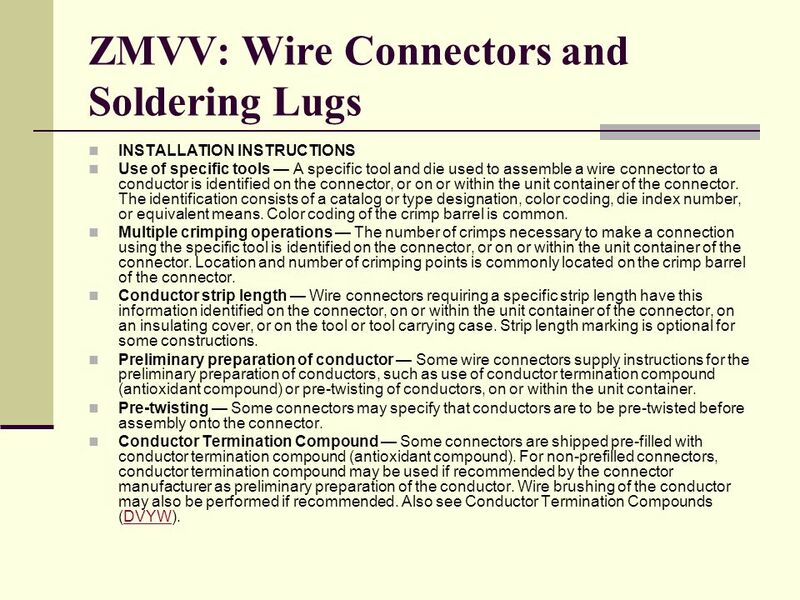 Preliminary preparation of conductor — Some wire connectors supply instructions for the preliminary preparation of conductors, such as use of conductor termination compound (antioxidant compound) or pre-twisting of conductors, on or within the unit container. Pre-twisting — Some connectors may specify that conductors are to be pre-twisted before assembly onto the connector. Conductor Termination Compound — Some connectors are shipped pre-filled with conductor termination compound (antioxidant compound). 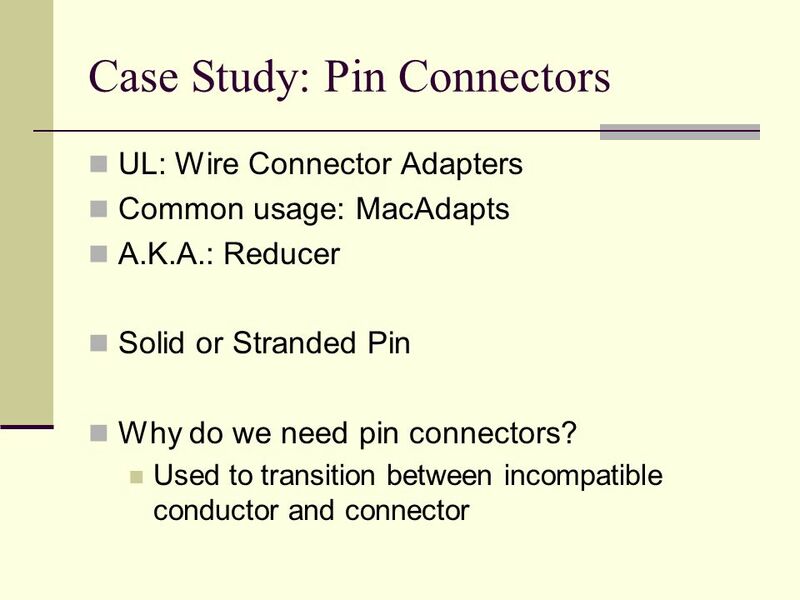 For non-prefilled connectors, conductor termination compound may be used if recommended by the connector manufacturer as preliminary preparation of the conductor. 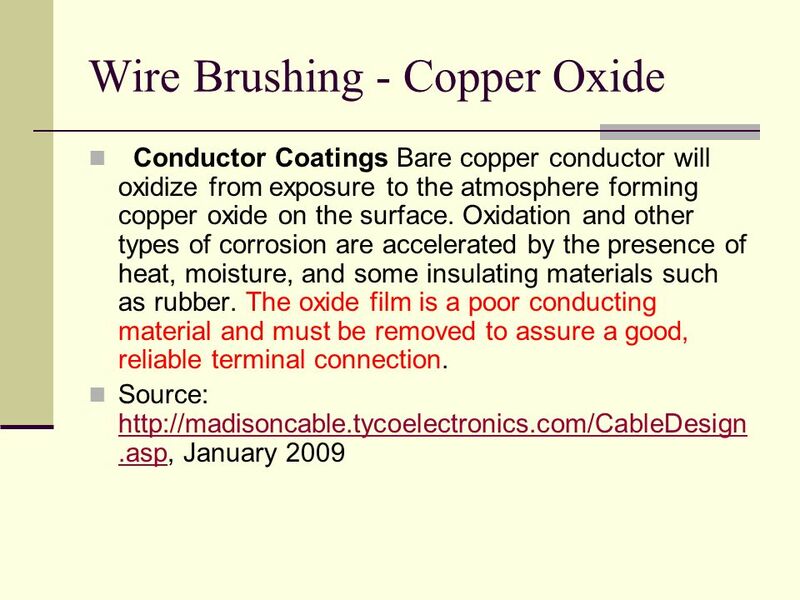 Wire brushing of the conductor may also be performed if recommended. Also see Conductor Termination Compounds (DVYW). 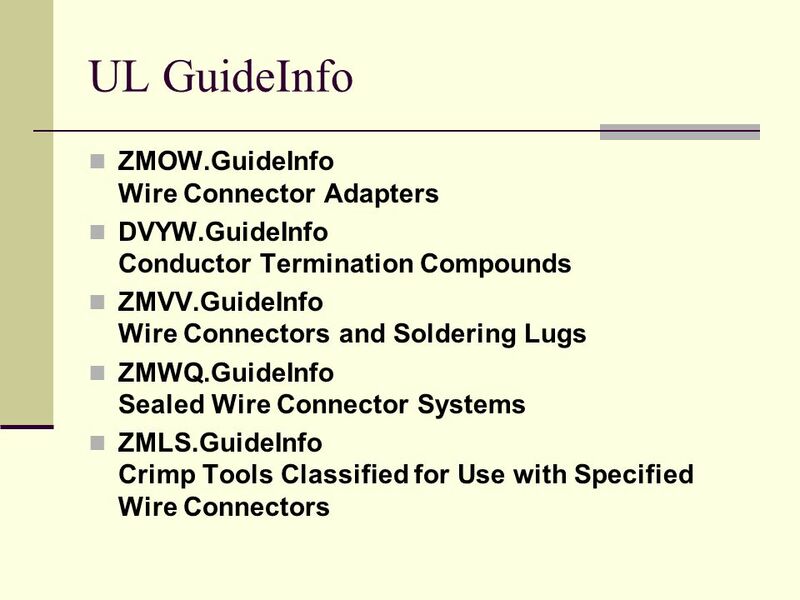 INSTALLATION INSTRUCTIONS Use of specific tools — A specific tool and die used to assemble a wire connector adapter to a conductor is identified on the wire connector adapter, or on or within the unit container of the wire connector adapter. The identification consists of a catalog or type designation, color coding, die index number, or equivalent means. Color coding of the crimp barrel is common. Multiple crimping operations — The number of crimps necessary to make a connection using the specific tool is identified on the wire connector adapter, or on or within the unit container of the wire connector adapter. Location and number of crimping points is commonly located on the crimp barrel of the wire connector adapter. 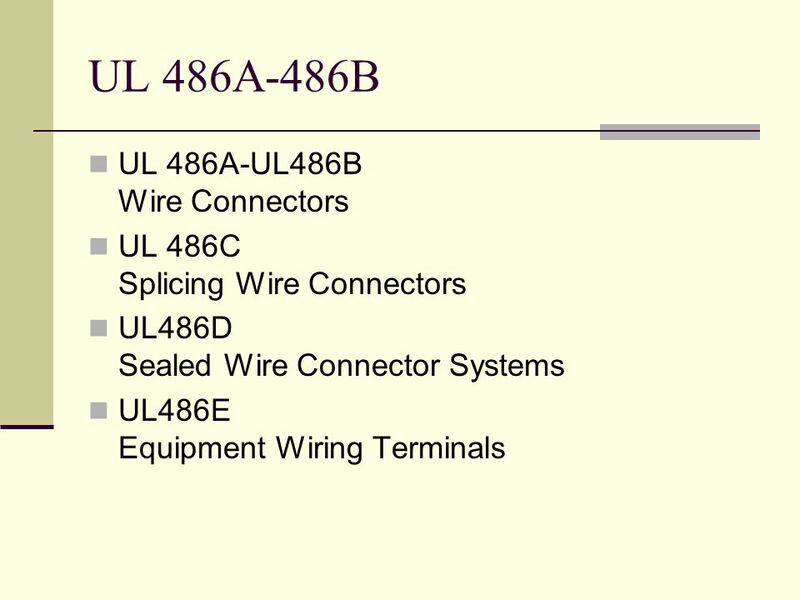 Conductor strip length — Wire connector adapters requiring a specific strip length have this information identified on the wire connector adapter, on or within the unit container of the wire connector adapter, on an insulating cover, or on the tool or tool carrying case. Strip length marking is optional for some constructions. 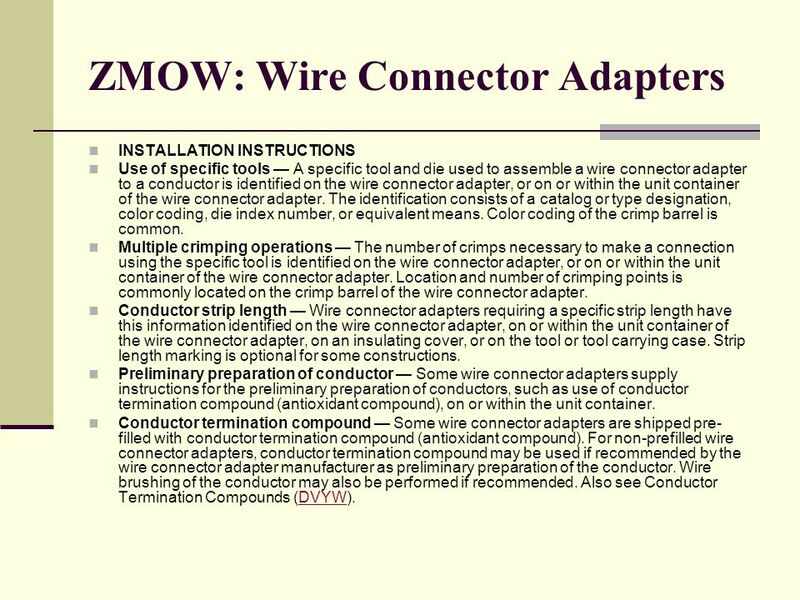 Preliminary preparation of conductor — Some wire connector adapters supply instructions for the preliminary preparation of conductors, such as use of conductor termination compound (antioxidant compound), on or within the unit container. Conductor termination compound — Some wire connector adapters are shipped pre-filled with conductor termination compound (antioxidant compound). For non-prefilled wire connector adapters, conductor termination compound may be used if recommended by the wire connector adapter manufacturer as preliminary preparation of the conductor. 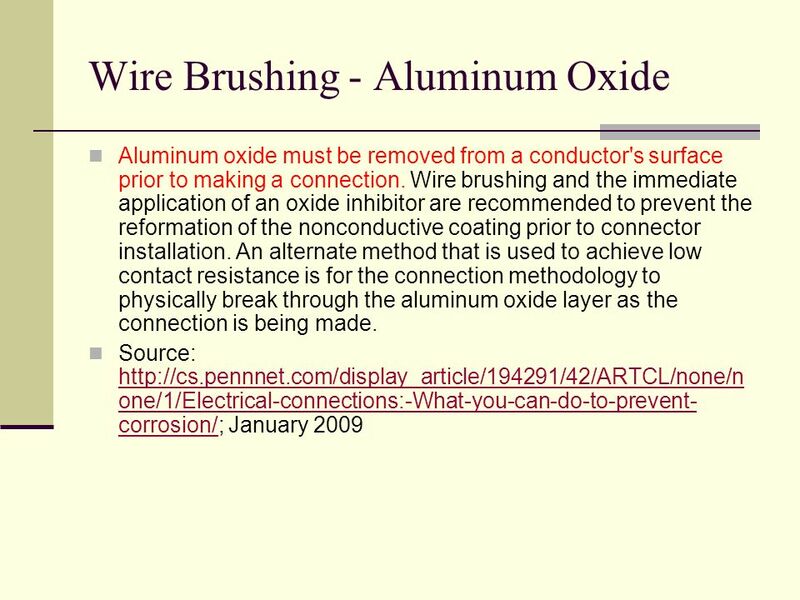 Wire brushing of the conductor may also be performed if recommended. Also see Conductor Termination Compounds (DVYW). 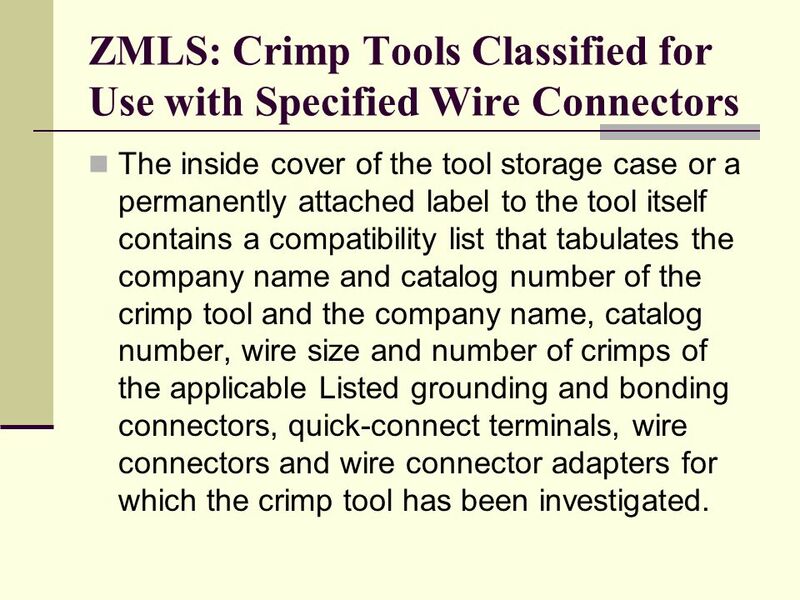 The inside cover of the tool storage case or a permanently attached label to the tool itself contains a compatibility list that tabulates the company name and catalog number of the crimp tool and the company name, catalog number, wire size and number of crimps of the applicable Listed grounding and bonding connectors, quick-connect terminals, wire connectors and wire connector adapters for which the crimp tool has been investigated. 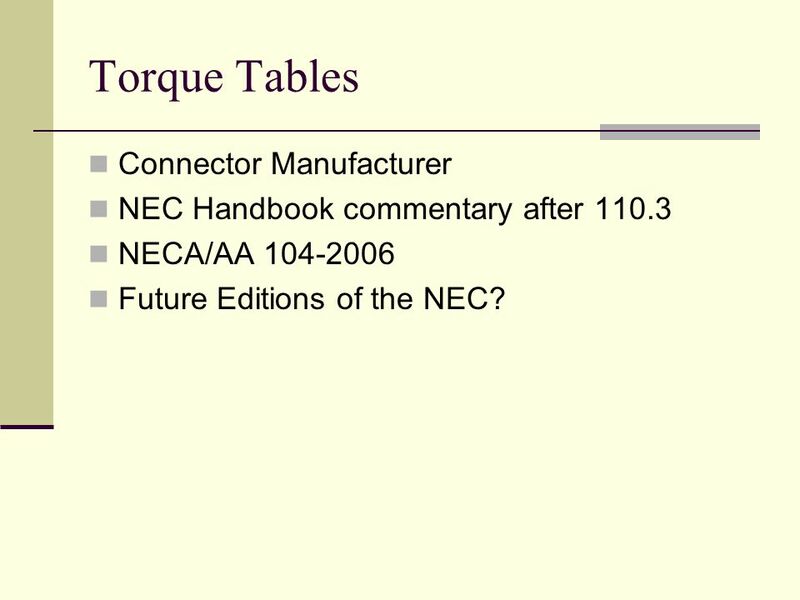 NEC Handbook commentary after 110.3 NECA/AA Future Editions of the NEC? 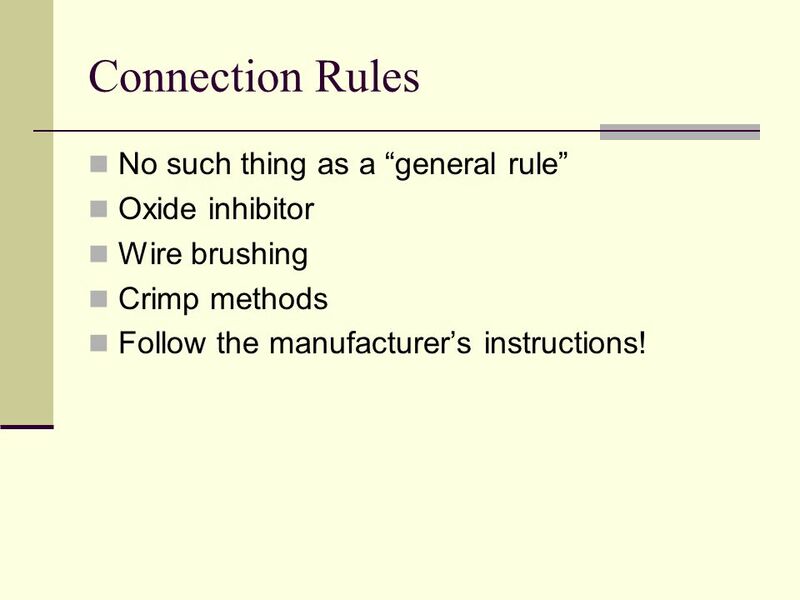 Wire brushing Crimp methods Follow the manufacturer’s instructions! 23 Where are the instructions? 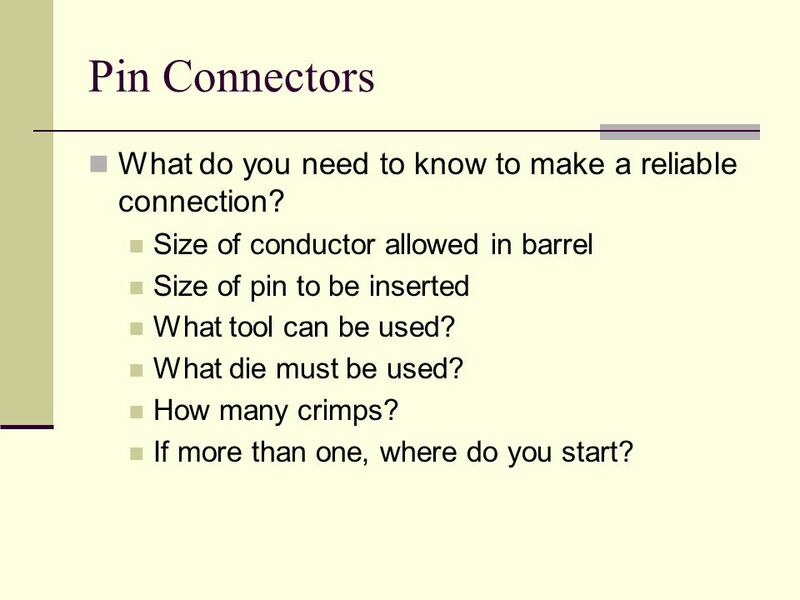 25 Pin Connectors What do you need to know to make a reliable connection? Size of conductor allowed in barrel Size of pin to be inserted What tool can be used? What die must be used? How many crimps? If more than one, where do you start? 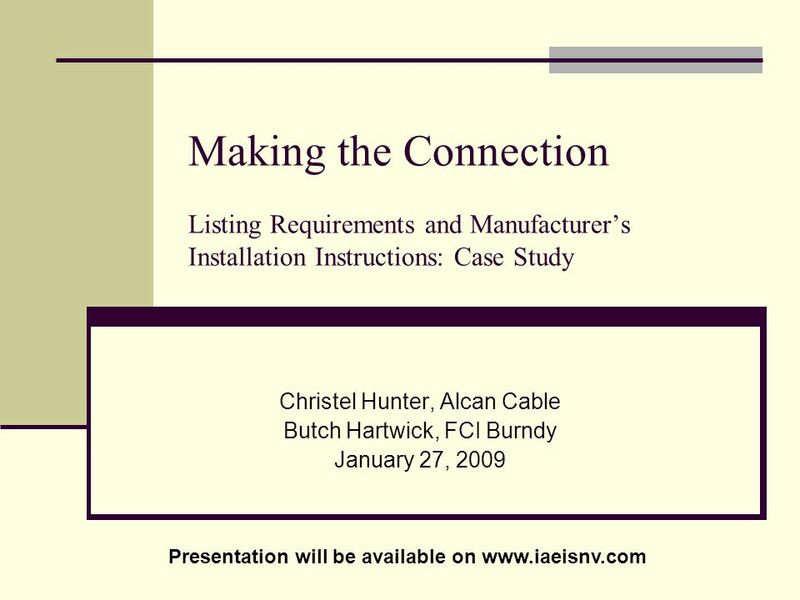 Download ppt "Christel Hunter, Alcan Cable Butch Hartwick, FCI Burndy"
Special Mines Services An Employee Owned Company. 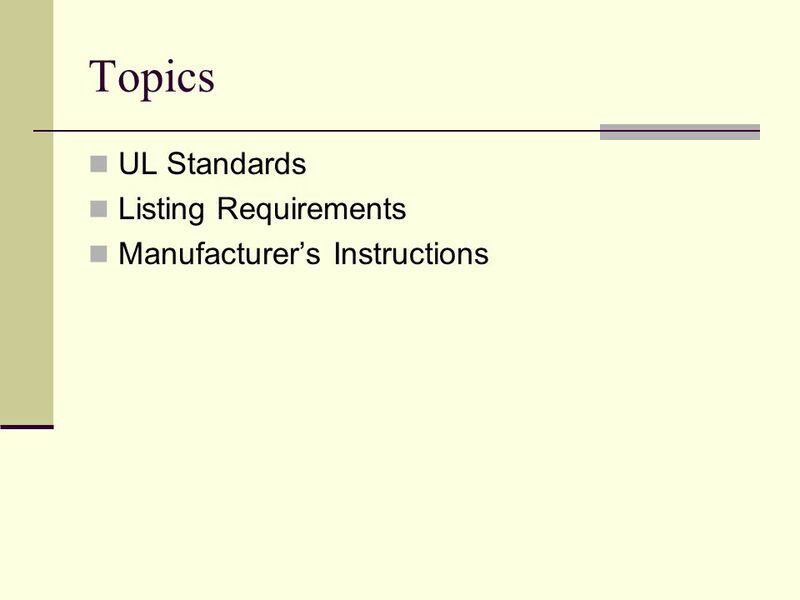 Patent Pending ESG Strap Grounding Solutions Presentation by: Electro Static Technology. …your final connection. Mine Cable Services Corporation. Cable Repairs: Vulcanized Splices. 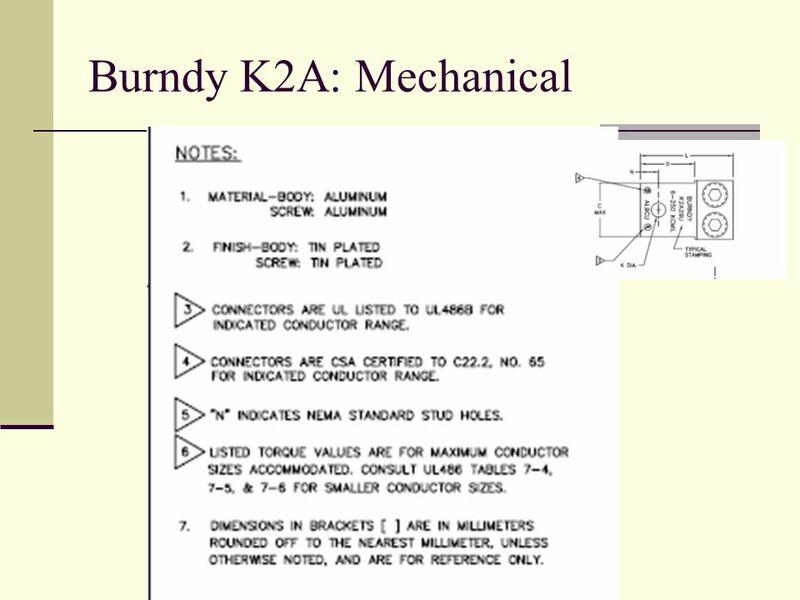 Presentation : IMS – Tech Managers ConferenceAuthor : IMS StaffCreation date : 08 March 2012Classification : D3Conservation :Page : # 05 - Wiring Methods. 75 years of excellence NEMA RV 3 Application & Installation Guidelines For Flexible & Liquid Tight Flexible Metal Conduits. INSTALLATION INSTRUCTIONS IMPORTANT: Read all instructions before performing any work. To avoid the risk of electric shock, turn off power before installing. 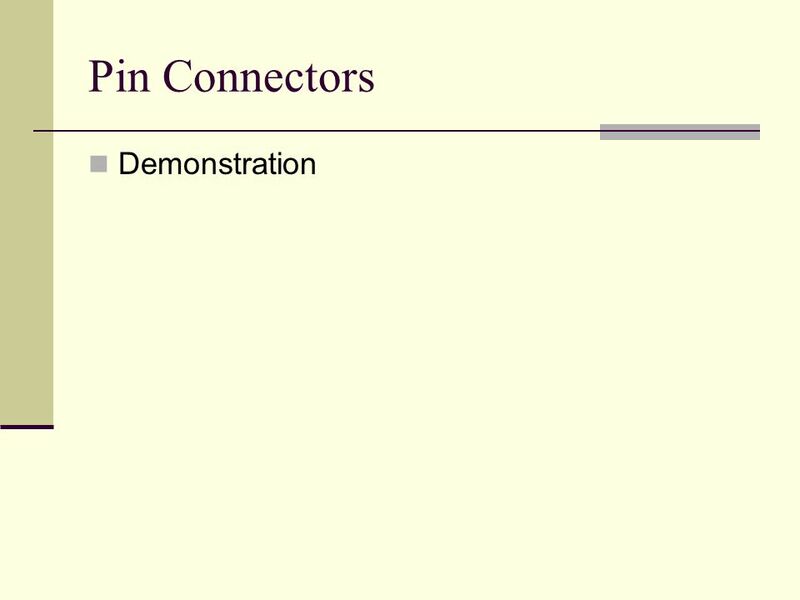 FAILURE MODES AND PRACTICAL APPLICATION CONNECTOR THEORY Your Presenter: Arnie Cobb Product Manager Distribution Connector Products. + Straight-Through Cable Construction Lab 4. + Data Transmission In data transmission system, the transmission medium is the physical path between transmitter. Electronics. Solid snap together electronic connectors. Telecom Cabling Grounding and bonding. 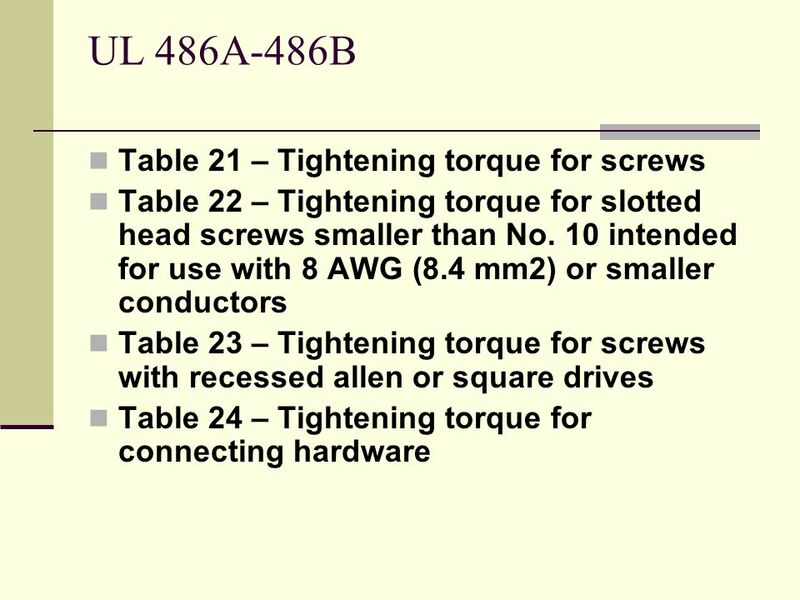 DAY 4 CHAPTER 3 CONDUCTOR SIZES,TYPES, ETC.. Continuous Load. A load where the maximum current is expected to continue for 3 hours or more. Continuous. 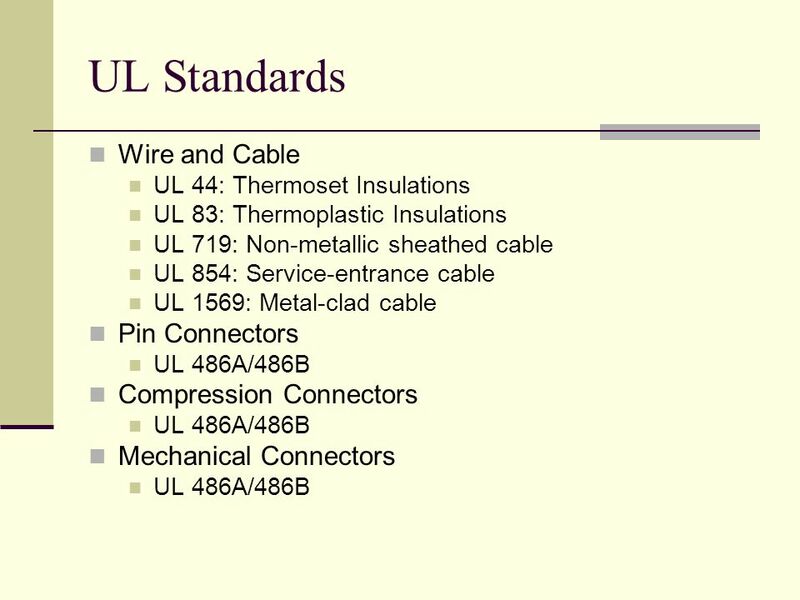 EKAS Power cable and conductor terminations UEE31307 Certificate III in Refrigeration and Air Conditioning Stage 2A Units: UEENEEPOO1B Chris Hungerford.